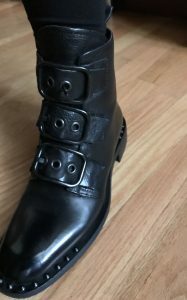 November | 2017 | Footwear Fashionista … a sneak peek into my shoe closet! Black Friday score! Prada’s contemporary take on a classic military silhouette. Designed with textured velvet laces, with an extra set of plain laces too – what else would you expect from Prada? 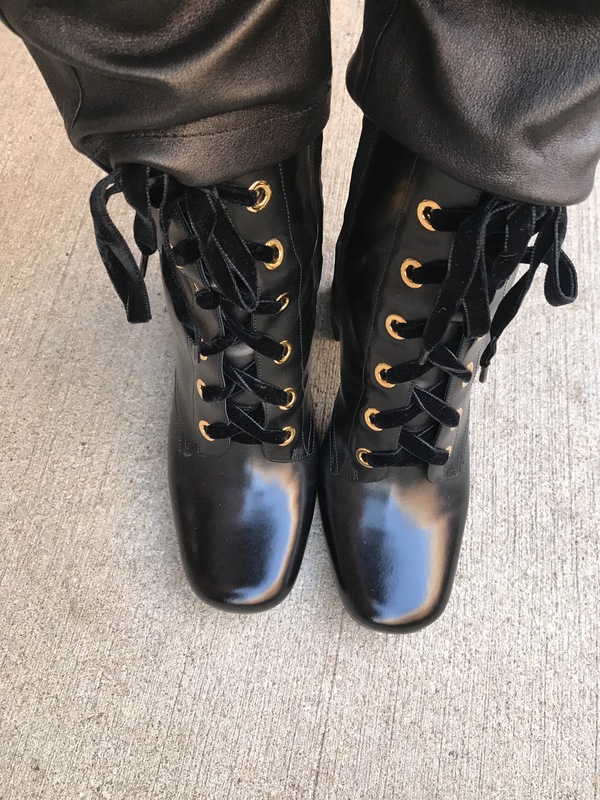 A smooth, black leather ankle boot with 4″ block heel, gold-tone eyelets, an inner side zip for quick fastening and to top it off …. 50% off! Another fabulous purchase from Delicious Shoe/Sfizi in Chicago. What’s better than buckles … well nothing, but look at these studs! 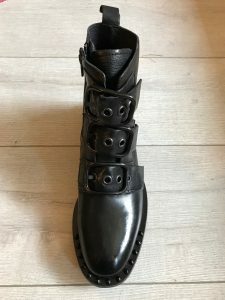 Check out the Mimmu studded boot. These boots have a low heel – about 1″ – a modern day combat/army boot. A bonus … the buckles are adjustable. 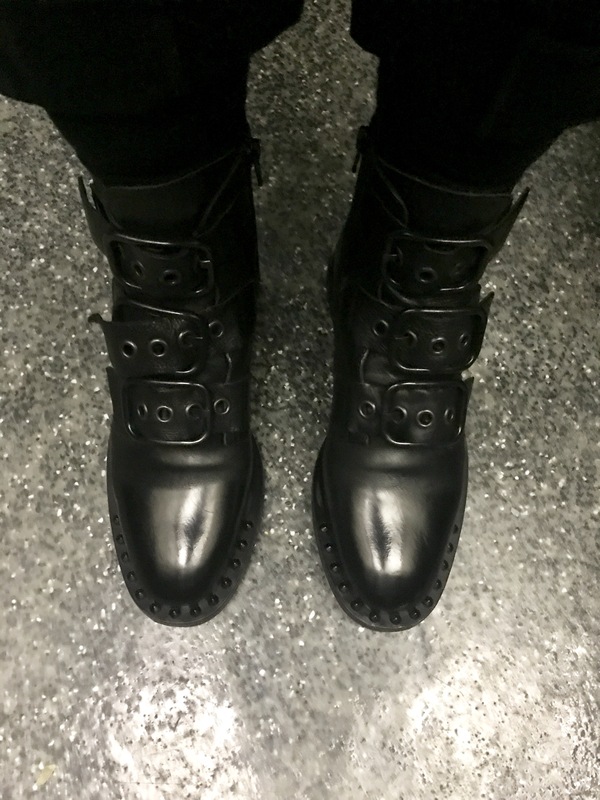 Although there aren’t laces – there is an inner zip – keeping this boot streamlined and neat. These boots won’t clash with your outfit as they perfectly juxtapose dresses and compliment jeans. Bring some action to your shoe wardrobe with these bad boys.